A formal letter is a written document that will entail many different forms of formal purpose—this may include but are not limited to an invitation letter, complaint letter, recommendation letter, and an offer letter. Any exchange of information that is deemed official enough to be written in a letter will most definitely be called a formal letter. Formal offer letters will differ in content, depending on the circumstance and persons or organizations involved in the correspondence. We will be showing you below and on our website collections of Letter Template examples to suit many different types of correspondence in this article. 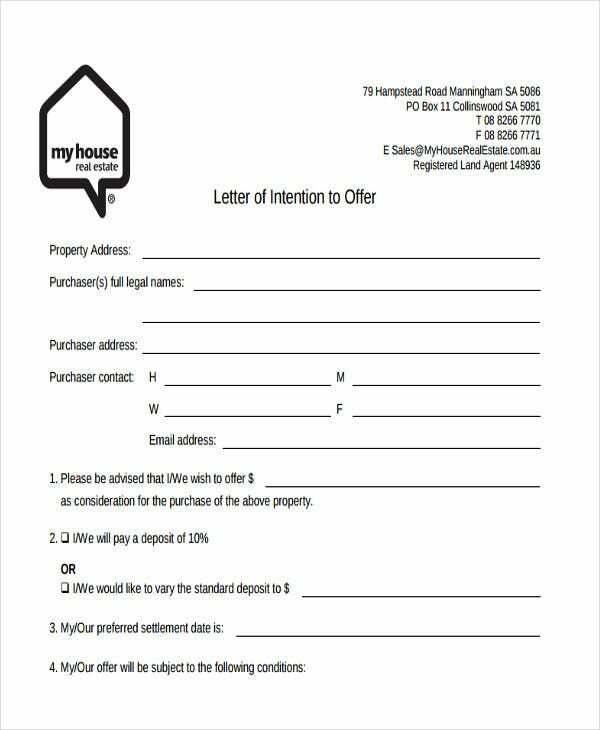 Formal offer letter to purchase property. 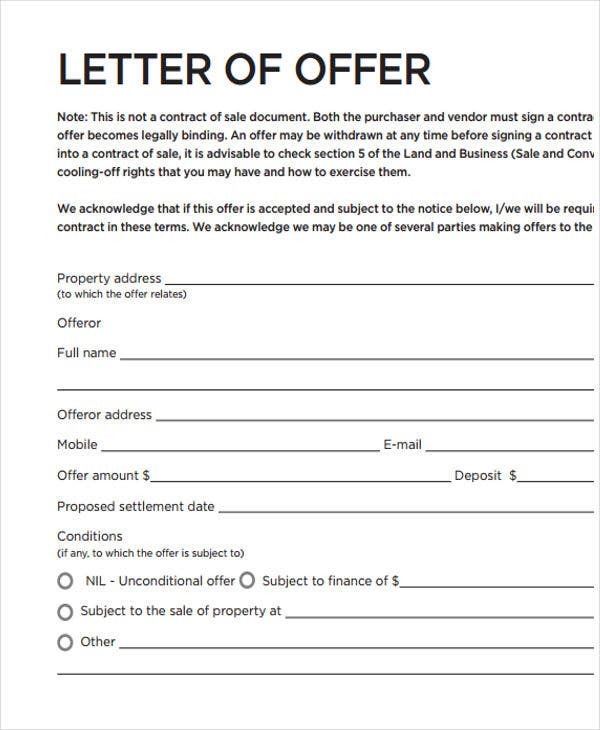 This type of letter if you want to record the agreement you have discussed before the actual purchasing of a property. This letter will ensure that misunderstandings between parties will be minimized further down the line. Formal offer letter for real estate. 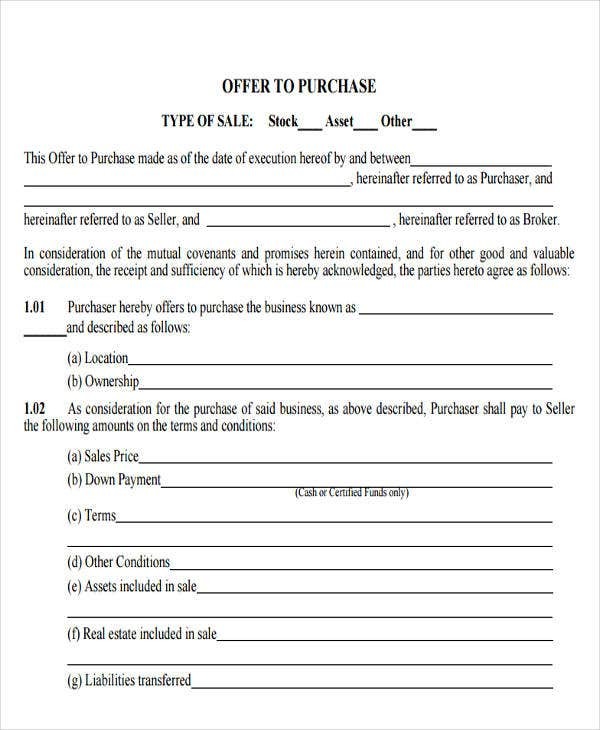 this formal letter is used to record all the initial details (including the offer) before formally purchasing real estate, similar to the first template. 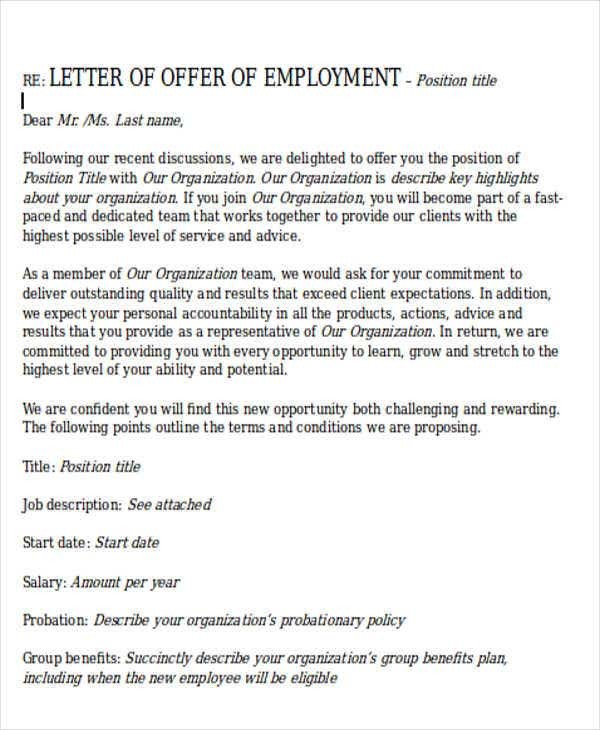 Formal job offer letter. 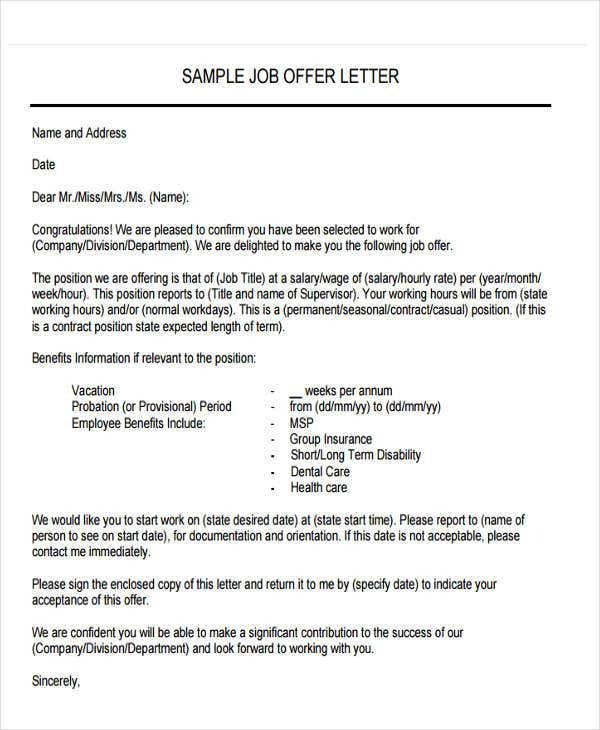 This type of letter is utilized when a company is offering an individual employment in the company. In this letter, every detail pertaining compensation, benefits, and the official start date of the employee must be clearly stated. 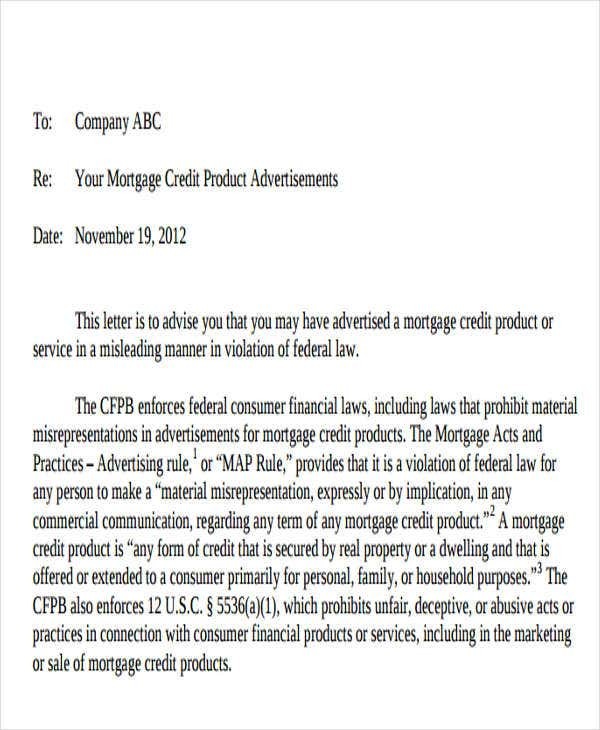 Formal mortgage offer letter. This letter is released by the lender and must contain the mortgage amount agreed prior to the letter and all terms and conditions that may come with it. Formal acceptance of offer letter. 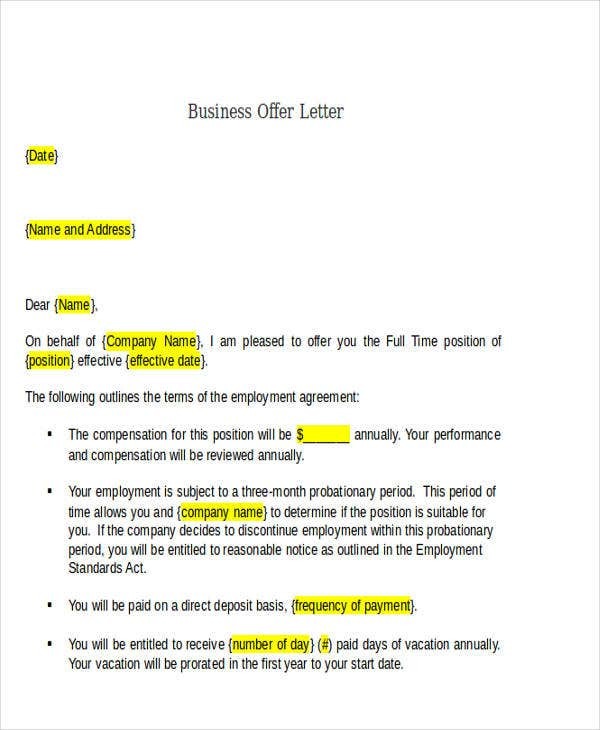 This formal letter is used in correspondence after the formal job offer letter was sent. This is to thank the the employer for the offer and additionally states that you have accepted their offer. As you scroll down, there are more formal letter templates for you to choose from and we discuss the appropriate circumstances to use them. 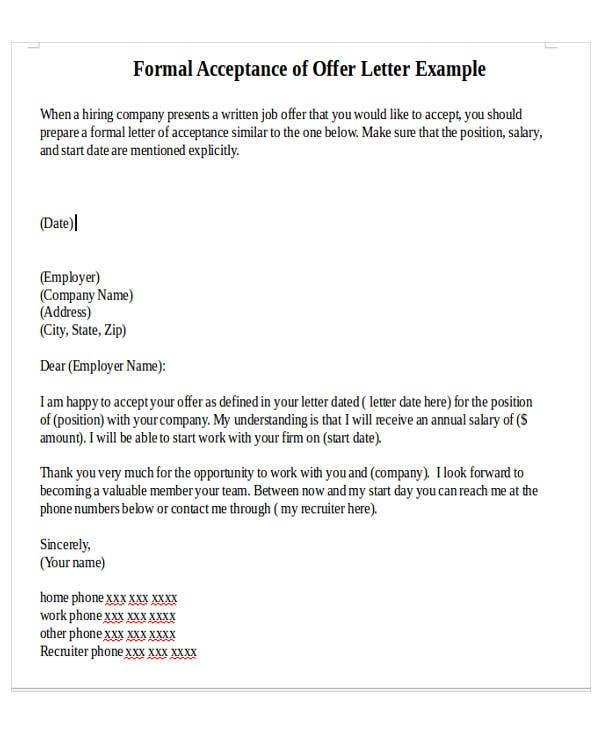 Formal business offer letter. This type of letter is highly similar to a business proposal letter wherein one party informs another what kind of businesses they offer and how one can avail of them. Formal purchase offer letter. 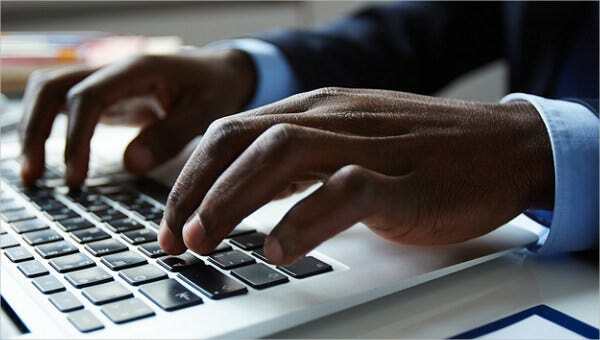 This type of letter contains information about any type of object or service that you would want to acquire, the amount that you are proposing and any terms and conditions that you feel serves the agreement. Formal offer of employment. This is another term for a job offer letter and serve the exact same purpose. Formal offer rejection letter. 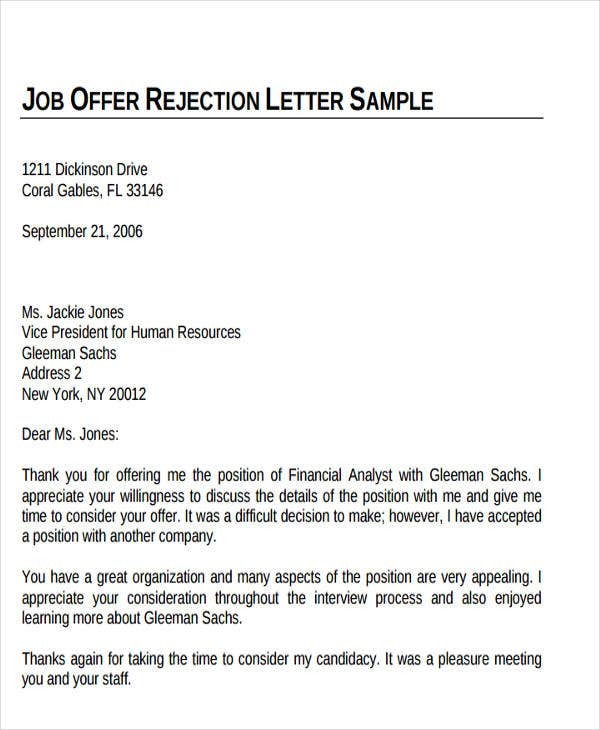 This letter is opposite to the formal acceptance offer letter, wherein one turns down a job offer made by a company. Our site offers more templates, like our Sales Letter Template page, to suit every business correspondence that you may encounter. All our formal letter templates are well written and editable to suit every specific case. They are also printable and do not require any sort of fee for you to access them.